1)The Head for Text field is used for easy reference. 2)The Rich Text File (RTF) controls mimic the Microsoft Windows Wordpad application. 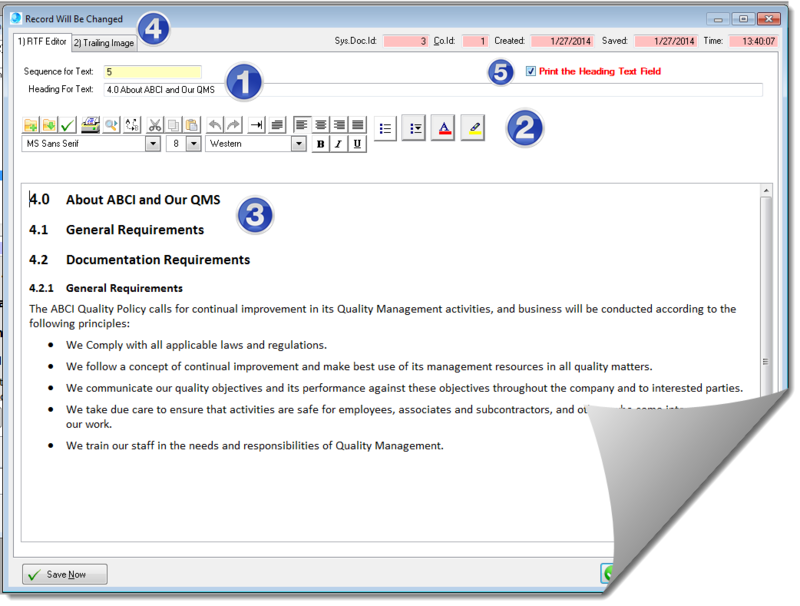 3)The Document Management Editor supports direct typing, pasting text form other applications or importing text from an existing RTF compatible document. 4)Each document segment may have an optional Trailing Image as shown in the Tab 2) Trailing Image.